Mark Sokol is the founder of PEOcompare.com. He has successfully developed teams and driven growth at companies including Geac Computer Corporation, Sage Software, Mintek Mobile Data Solutions, Gevity, Ceridian and ConnectWise where he has held roles in marketing, product management and product support operations. Mark holds an MBA from the University of South Florida, along with a B.S. in Management Information Systems. In addition, Mark is currently a member of AMA (American Marketing Association) and has had prior memberships in SHRM (Society of Human Resources). Carolyn Sokol has taken over much of the development and operations of PEOcompare.com. As a partner, she has grown the company into one of the most respected resources in the PEO comparison industry. 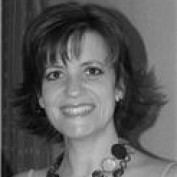 Carolyn has 20 years of experience working within and for small businesses in operations, marketing and client communications. Carolyn began her early career within the sciences and previously held a FL License as an Optician, Apprenticeship Sponsor, ABO/NCLE Certification and is a prior member of the Professional Opticians of Florida. Together, Mark and Carolyn are committed to PEOcompare.com with the goal of connecting small business owners to the Professional Employer Organizations best suited for their human resource outsourcing needs. Moving forward, we are constantly monitoring the needs of small businesses and plan on offering additional professional tools where business owners can determine their needs easily, review solutions that meet those needs, and make an informed decision on which products will work best for them, all done in a totally unbiased atmosphere.